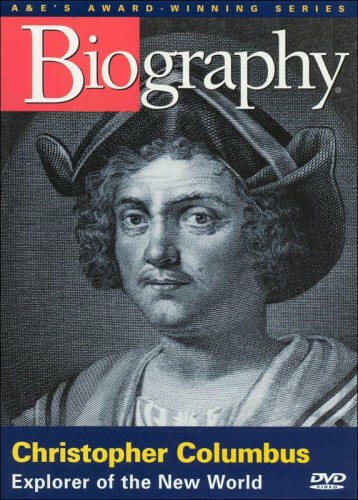 Age appropriateness: "Christopher Columbus: Explorer of the New World" is geared toward students in grades five through eight. Accuracy: This brief documentary film is fairly accurate. It relies primarily on interviews with historians and the like, interspersed with contemporary illustrations. Review: "Christopher Columbus: Explorer of the New World" is pretty good for a low-budget television documentary designed for the tween demographic. The most important names, dates, and locations are covered. The narration describes the horrors Columbus inflicted on Native Americans, without getting too graphic for the target audience. This documentary is brief enough (42 minutes) that many classroom teachers will be able to fit it into a single class period. Scroll down for vocabulary terms, names, and questions. Review and discussion questions: (1) Why had China been cut off from European traders? (2) Columbus learned the latest in navigation while living in what country? (3) Who were the first Europeans known to have reached the Americas? (4) How did Portugal's King John react to Columbus' proposed voyage? (5) How did Columbus support himself while living in Spain? (6) What were the names of Columbus' three ships on his 1492 voyage? (7) Why did Columbus and his crew look down upon the Native Americans? (8) From where does the derogatory term "Indian giver" come? (9) What happened to the sailors Columbus left behind in the Caribbean during his first voyage? (10) Describe the problems of Columbus' rule in the Caribbean. (11) How many voyages did Columbus make to the New World? (12) Describe the last years of Columbus' life. (13) Locate the following on a map: Italy, Spain, Portugal, Jamaica, and Hispaniola (Haiti and the Dominican Republic). (14) Imagine that you are Christopher Columbus. Is there anything that you would do differently? Explain your answer.